UK based shipbuilding and engineering company Cammell Laird announced a series of changes to its senior management team. 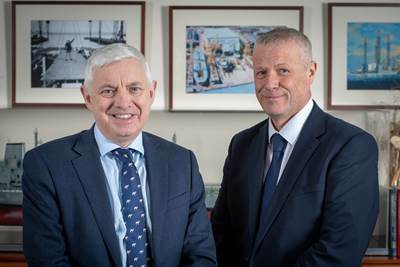 The restructure sees company founder and CEO John Syvret CBE extend his role to executive chairman; Tony Graham becomes chief operating officer; and Paul Owen joins the company from the defense industry to become managing director. In addition, Linton Roberts takes up a new role as group technical director sales and marketing.